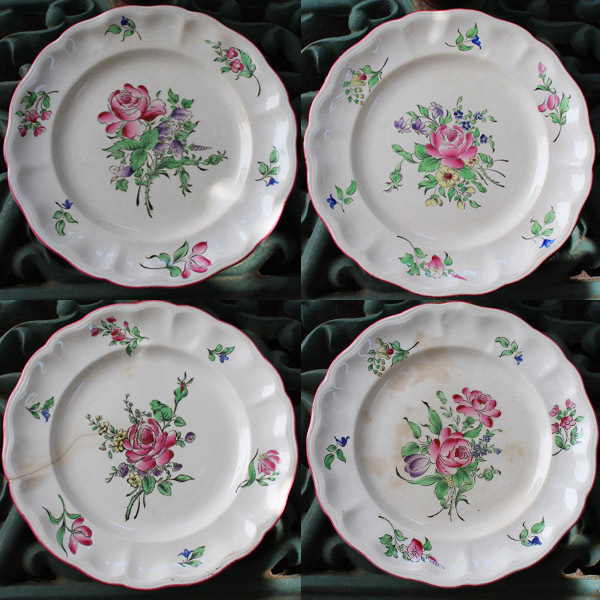 Four beautiful plates all in the Old Strasbourg Pattern. Two of the plates are in good condition and the other two have flaws. One has a crack and the other has some staining. Please look at the pictures carefully. 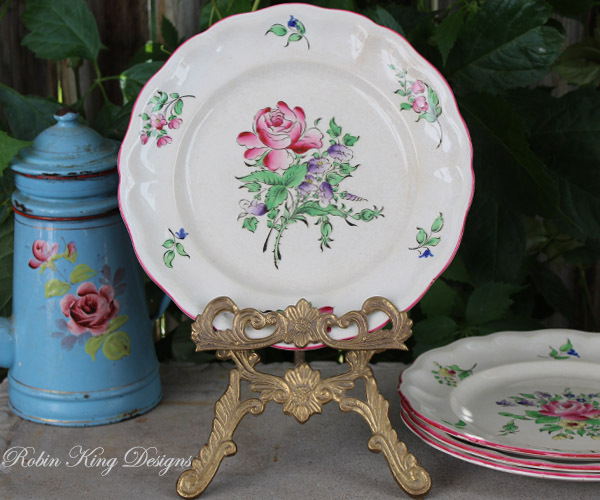 Although not perfect, the plates would make a beautiful display hung on a wall or stacked on a shelf. Each plate measures 9.5" and is stamped on the back.